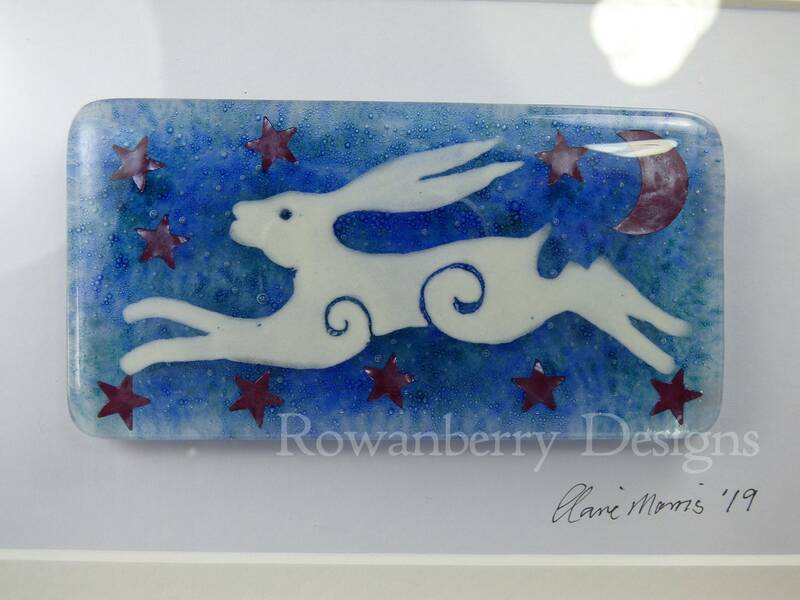 I have handpainted this design with specialist glass paints straight onto 2 sheets of glass and an array of glass powders, copper moon and stars and then they were fired in the kiln at 800c to become one solid piece of glass, with the design being permanently fused. 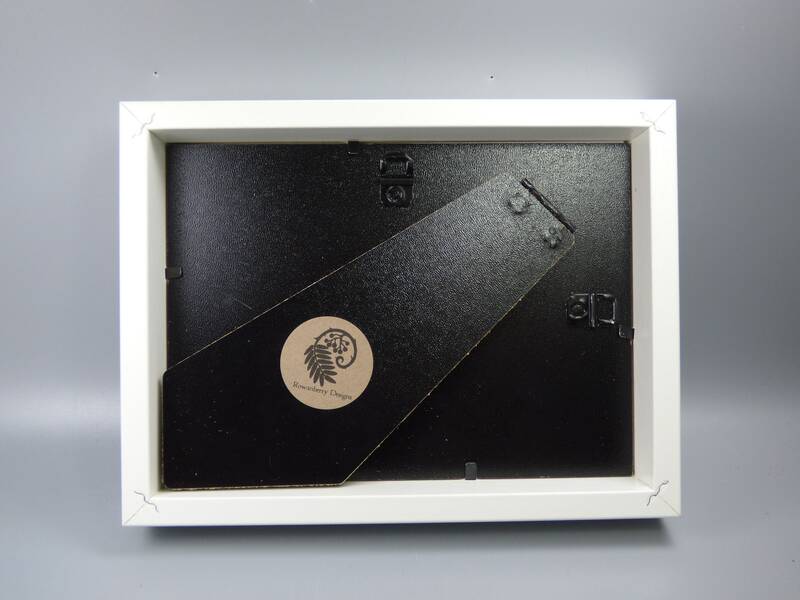 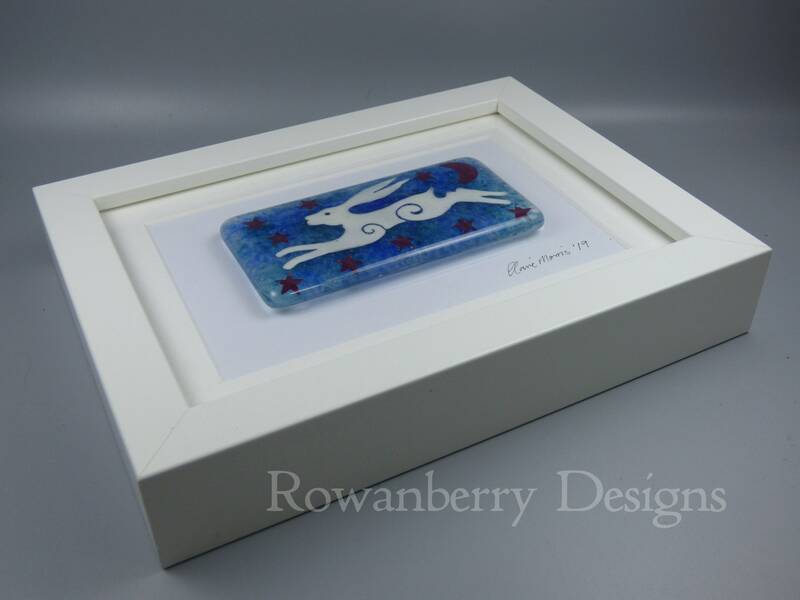 This is then attached to another piece of glass with specialist adhesive and is then framed. 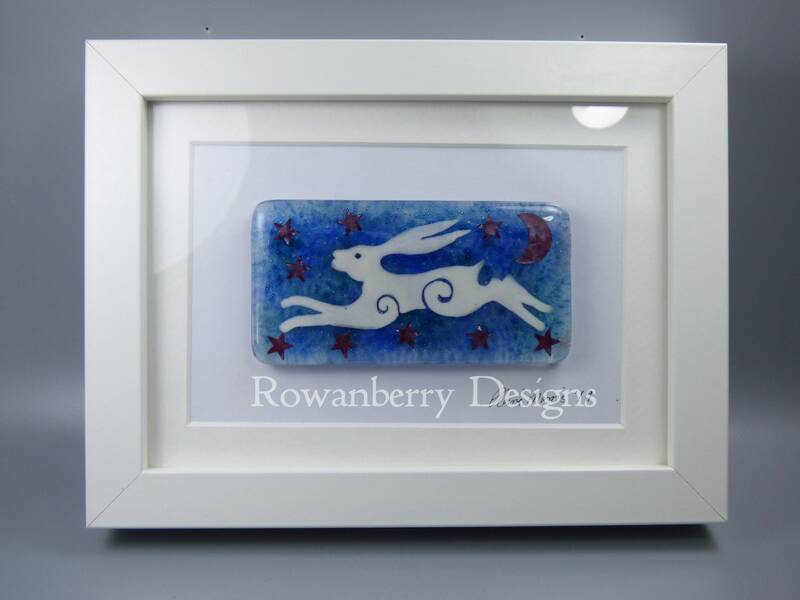 This piece is an original design using a hare that I have drawn and designed myself. 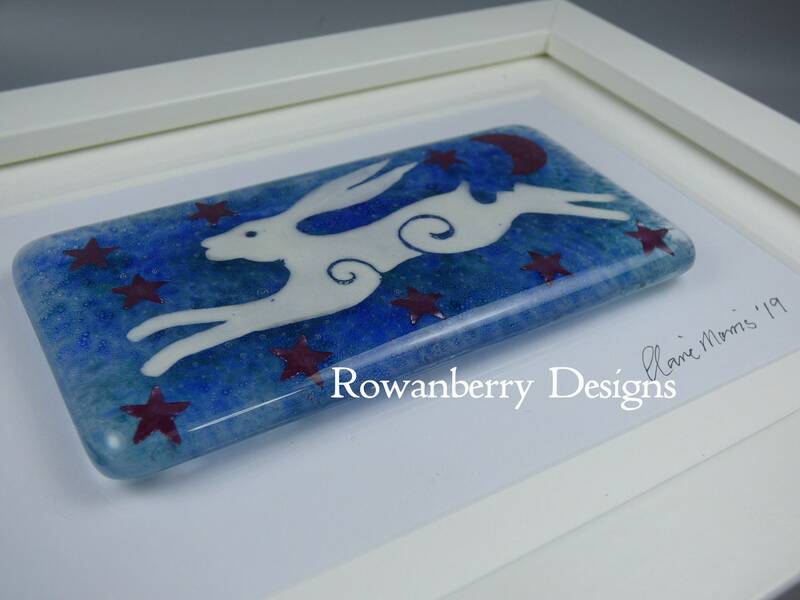 AT THE MOMENT I AM UNABLE TO SEND THIS ITEM OUTSIDE OF THE UK, SORRY.